What a difference a session of the Texas Legislature makes. Supporters of public education in the Lone Star State have for years sounded the alarm about the unsustainable state of school finance and lack of adequate funding for public schools. But in session after session, their cries fell on deaf ears in the Republican-dominated legislature. Until yesterday. After a closer than expected November 2018 midterm election where Republicans saw their majorities in both the Texas House and Senate shrink, the House approved sweeping, bipartisan school finance reform on a nearly unanimous vote. Rep. Jonathan Stickland (R-Bedford), a member of the far right Freedom Caucus, was the lone no vote on the legislation. House Bill 3, authored by Public Education Committee Chair Dan Huberty (R-Humble), funds full-day pre-kindergarten for most school districts, increases by nearly $900 the per-student base school funding amount, gives an across-the-board raise to teachers and full-time staff, reduces “Robin Hood” payments from property wealthy districts to fund poorer districts and slows the growth in local property taxes. All told, HB 3 provides $9 billion in new funding for Texas public schools — $6.3 billion in money to local school districts and $2.7 billion to compress local tax rates. A key amendment offered by House Democratic Caucus Chair Chris Turner (D-Grand Prairie), which was unanimously adopted, uses part of new funding to districts to grant a teacher and employee pay raise, which averages about $1,850 per year. Originally, HB 3 left salary increases to the discretion of individual districts. 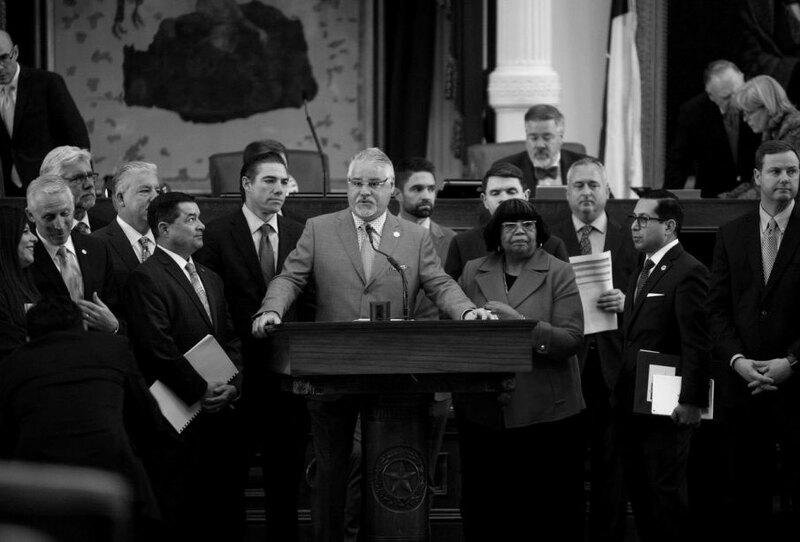 The focus of school finance legislation now shifts to the Texas Senate, where Lt. Governor Dan Patrick has made a $5,000 teacher pay raise a cornerstone of his efforts. The ball is in your court, Dan.